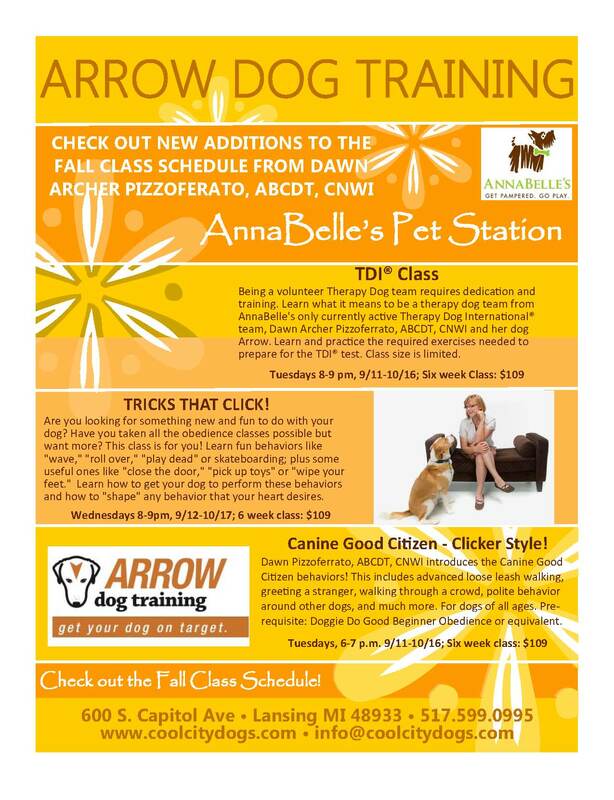 NEW Fall Classes from Arrow Dog Training! Sign up online or call 517.599.0995. See Dawn’s complete fall class schedule! 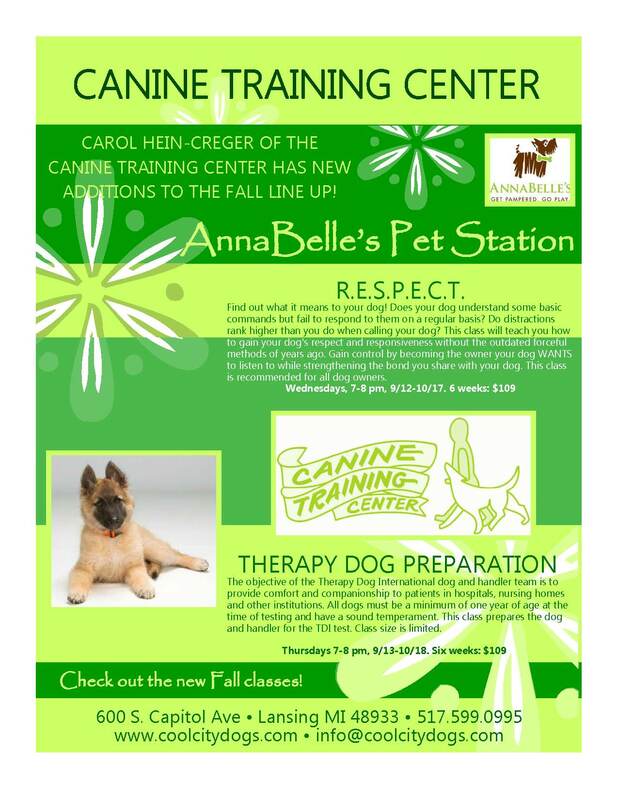 NEW Fall Classes from the Canine Training Center! Sign up online or call 517.599.0995! It’s Thursday morning and it starts off the same as any other morning. I feel my 58 lb fur-kid, Arrow, jump up on the end of the bed and wedge himself between my hubby, David and me. I don’t move as I relish these last moments of blissful sleep. But it doesn’t last long. I then hear a long, mournful sigh from Arrow indicating he’s waited long enough and it’s time to get up. I reach over to my nightstand; grab my iPhone to check the time. Sure enough, It’s 6:30 sharp … as usual! Thursday morning starts off the same as any other morning, except on this morning Arrow and I will visit a senior assisted living facility in our hometown just like we have almost every Thursday morning for the past year. After potty time, morning walk and breakfast we begin our Therapy Dog routine. It starts with a nail trim. This is not Arrow’s favorite activity, but just like with most things, he tolerates it with a resolute calm. Then teeth brushing, which he likes even less, followed by his favorite thing: I get out the brush. I gently mist him all over (except his face) with a homemade concoction of water, lavender oil, and peppermint oil and then I brush him. I brush him forward and back, topside and underneath. He moves and sways in an attempt to get the brush to his favorite, itchy spot at the base of his tail. Once there, his right leg comes up and air-scratches with delight. 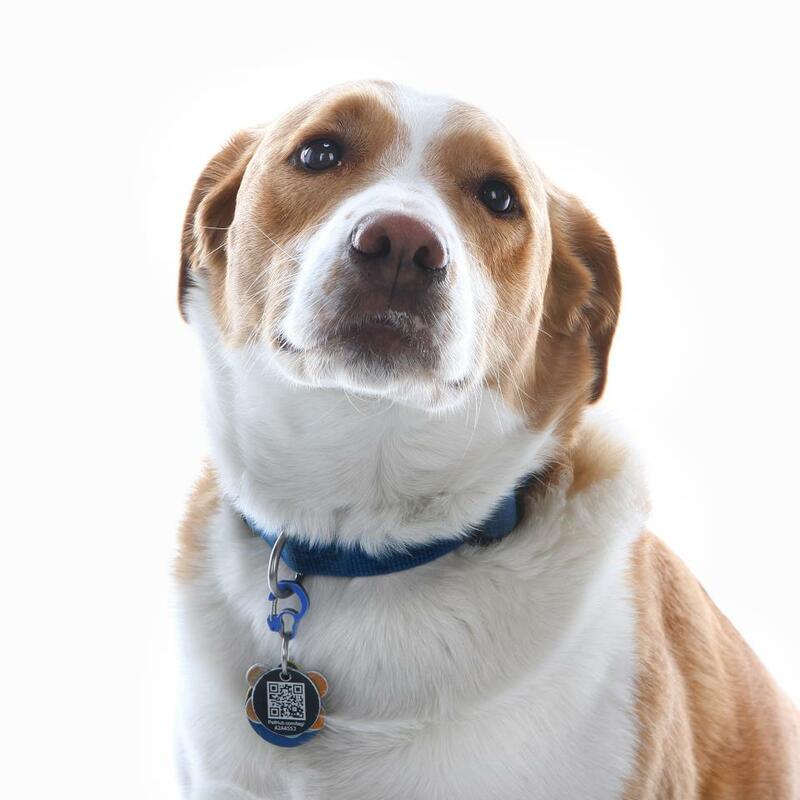 Then the special “I am a Therapy Dog” tags are placed on the collar. And I put the “Therapy Dog International” I.D. with my name, Arrow’s name, picture of his beautiful face and #114583 around my neck and out the door we go! The facility is only about a mile away, so if it’s nice outside, we walk there. As we approach the building, I let Arrow sniff around and relieve himself…now we are ready to begin! As we enter the building, I make Arrow “sit” and “wait” at each of the two doors we have to go through to get to the lobby. This helps him get “calm” and focused. You see, Arrow hasn’t always been the best-behaved dog in public. Some might say he was absolutely naughty. When I first got him, he was VERY leash reactive and would bark loudly and lunge at any new person or dog he saw. He was never aggressive, just very excited. But I never gave up on him. And I continued to take him out to public places, even though I knew he would embarrass me. I worked on his reactivity everywhere we went and eventually he learned if he could be quiet and calm, he would get both treats and the opportunity to greet the person or dog that was making him so excited. When we enter the lobby, I wash Arrow’s feet with a wipe (this is to help keep him from tracking any “nasties” into the building) give him a drink of water (senior citizen facilities tend to be very warm, so I keep Arrow very hydrated while we are there), have him lie down and stay while I ready myself for the job ahead. I put a bottle of hand sanitizer in my pocket, silence my phone, put Arrow’s brush in my back pocket, release him from his stay and off we go. Our first stop is usually to the program director’s office. We check in, let her know we’re here, and have her sign our “Record of Visitation” to document our visit that day. It can sometimes take us quite a while to reach our destination: if any staff or visitors are in the lobby, they immediately acknowledge Arrow and want to great him. And he happily complies. He stands there while they pet his head, his face, and his back. He often will whip his hind end around to them hoping beyond hope to get a scratch in his favorite spot (yep, the base of his tail) and funny thing is, it usually works. Once we have checked in, we are free to go through the facility and see our regular favorite residents. We always stop along the way to greet staff or any wanting visitors. We occasionally come across someone not really interested in greeting Arrow. That’s why I ALWAYS ask if someone wants to meet my “therapy dog” and only approach those people who want to pet Arrow. At each resident’s apartment, I knock on the door and slowly enter, introducing Arrow and myself. Everyone is always happy to see us. Each resident must sanitize their hands before and after petting Arrow so I pull out the hand sanitizer, they reach their hands out and I give them a little squirt. This is done to not only protect the residents, but also to protect Arrow and keep him from bringing any staph infections home with him. We visit with all our regulars for about 10-15 minutes each. Mostly they pet him on the head as they sit in their lounge chairs. Some like to brush him and some want him to come into bed with them. In those cases, we put a clean sheet down on top of the bed and invite him to “come on up.” He jumps up and snuggles in beside them and lets them pet his head. They really like it when he does his little moan thing as he lies beside them. Sometimes he will lie on the carpeted floors and take a little snooze while we visit, but he is always at the ready to come over for a scratch if he hears his name called. We travel from room to room bringing joy with us and then leaving a little bit of happiness behind. After a little more than an hour we are back in the lobby where I offer Arrow another drink of water as I wipe off his feet one more time before we leave. We are done and Arrow is tired, but content. We leave knowing that today was NOT like every other day. Today, this Thursday, we are leaving behind us many smiles and warm hearts. Learn More About Dawn & How to Get Your Dog On Target! Dawn is an Animal Behavior College Certified Dog Trainer, an experienced Nose Work Instructor, an AKC Canine Good Citizen evaluator, and the owner of Arrow Dog Training. Dawn is AnnaBelle’s resident clicker training specialist and she can help you Get Your Dog on Target! 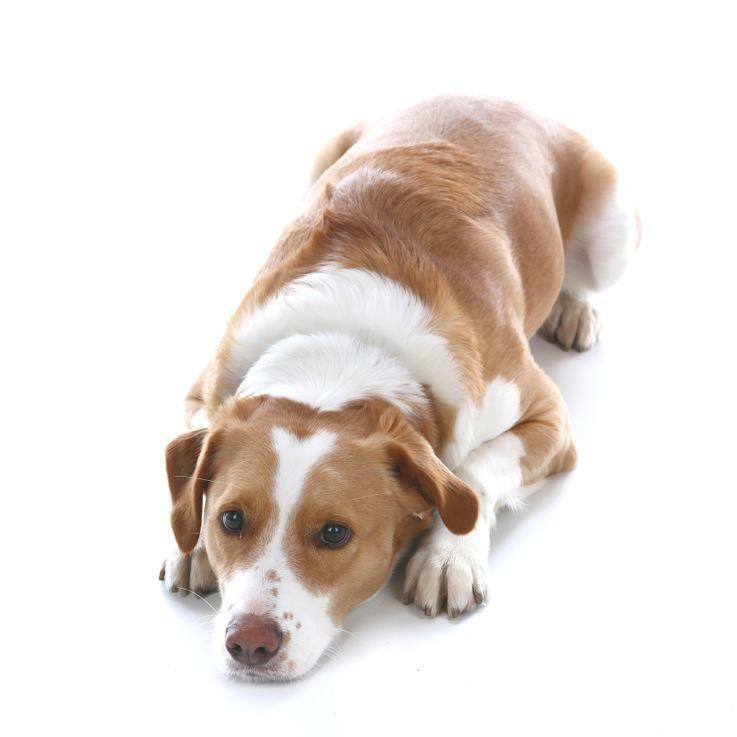 Dawn uses scientifically proven “clicker training” and “free shaping” to teach your dog all the basics plus other fun, useful behaviors. She uses operant conditioning and positive reinforcement, without correction, to help you and your dog build a bond of trust and respect. In addition to presenting Doggie Do Good clicker classes, Dawn also offers Nose Work and TDI® classes. Dawn’s group classes are taught at AnnaBelle’s on Tuesday and Wednesday evenings. Click here to see her complete class schedule!